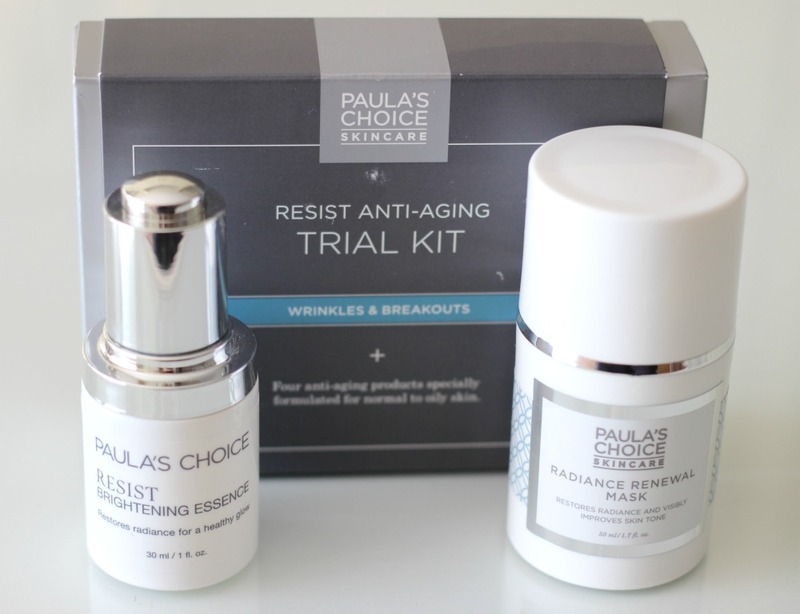 I've been familiar with Paula's Choice for many years, but it wasn't until last year that I finally gave their products a try. Specifically, I got to test a handful of products from their Hydralight, Moisture Boost and Resist lines, as well as their Calm Redness Relief line. 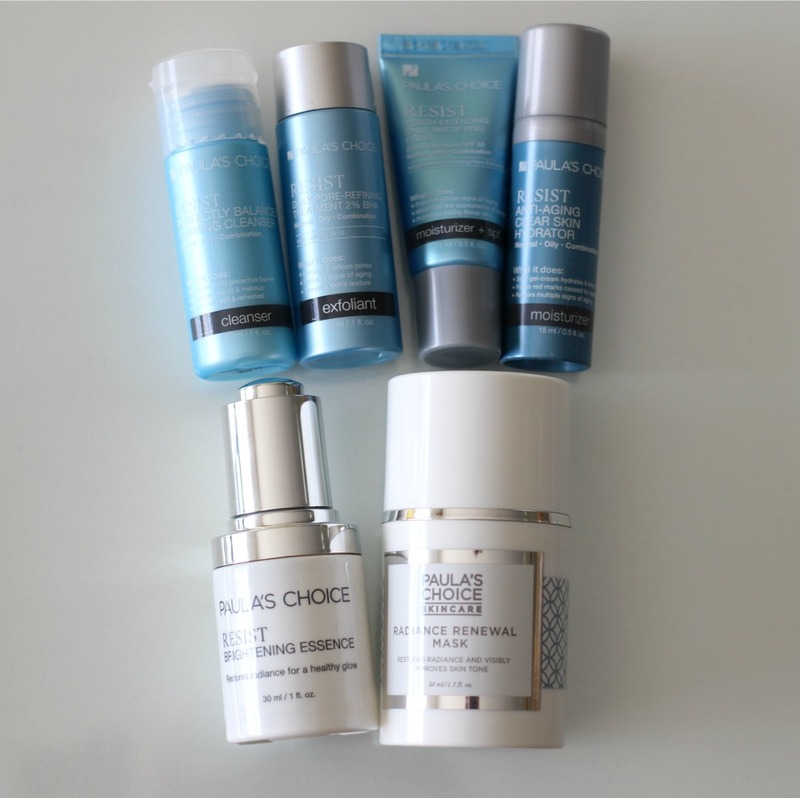 Their skincare products are highly coveted by many, and I've come to experience why they are so popular and well-loved. 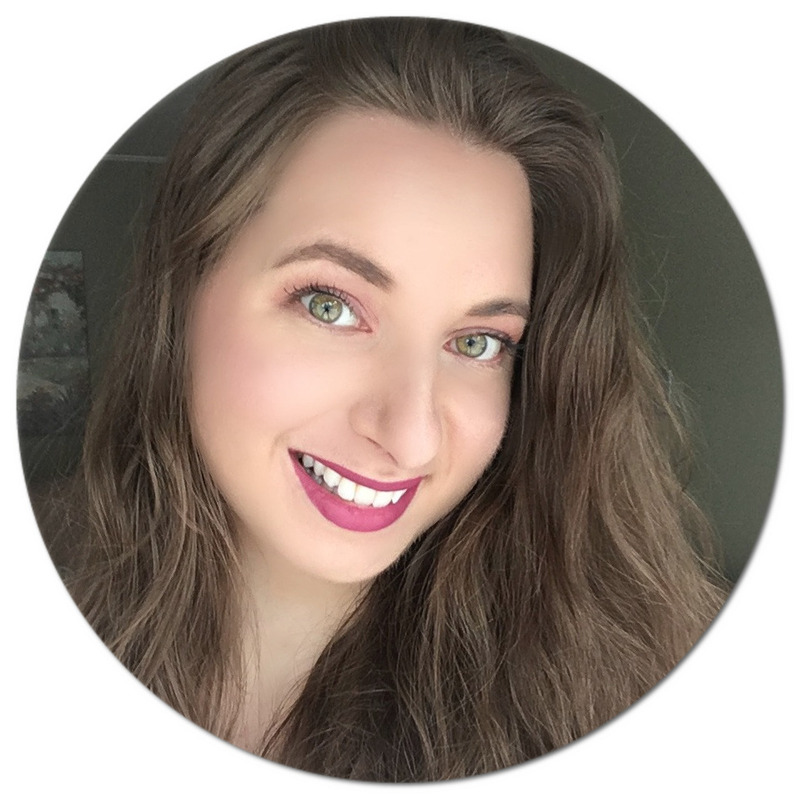 I recently received a handful of new products to try from the brand, and I'm here to report on how I've been getting along with them! The Resist Brightening Essence* and Radiance Renewal Mask* were released this past month, a duo that was developed to help restore hydration and boost luminosity for healthier-looking skin. 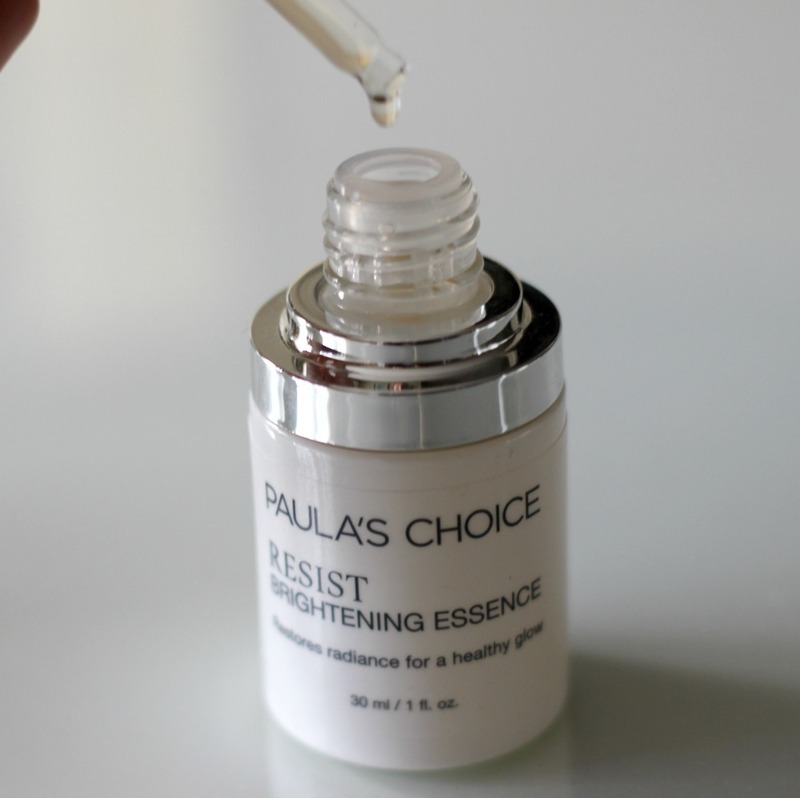 The Resist Brightening Essence is a serum-like liquid that comes with a dropper dispenser. The product sinks into the skin within minutes following application and is great layered beneath a moisturizer. I've noticed my skin appears more vibrant and has a nice glow to it since starting use. Ingredients include hyaluronic acid and licorice root which are known to combat moisture loss and help soothe parched skin. The Radiance Renewal Mask is a heavy-duty overnight mask with a lightweight cream-to-gel consistency. It is suitable for all skin types and can be used on a weekly basis, or more often if desired. It contains ingredients such as niacinamide (aka vitamin B3) which is packed full of antioxidants and vitamins, and arbutin which has been shown to help brighten the skin. Since using this mask, I've been waking up with more luminous looking skin, which I can't complain about! This cream cleanser turns into a foam and doubles as a facial makeup remover without leaving my skin feeling tight or dry. It's a great option if you also have sensitive skin prone to breakouts. It contains glycerin and sunflower seed oil to replenish the skin. This exfoliating liquid will help remove any leftover impurities following cleansing and balance the skin's pH. It also reduces the appearance of pores and has been show to help fight wrinkles and fine lines. Salicylic acid targets breakouts, while panthenol helps retain moisture. This moisturizer targets fine lines and wrinkles and works against sun damage with its high sun protection factor. I've found it is great to use even under makeup without aggravating my problematic skin. Key ingredients include green tea, oat bran extract and avobenzone. High in Vitamin C and niacinamide, this product helps with uneven skin tone, texture and discolouration. It is very lightweight and layers well beneath other cosmetics. 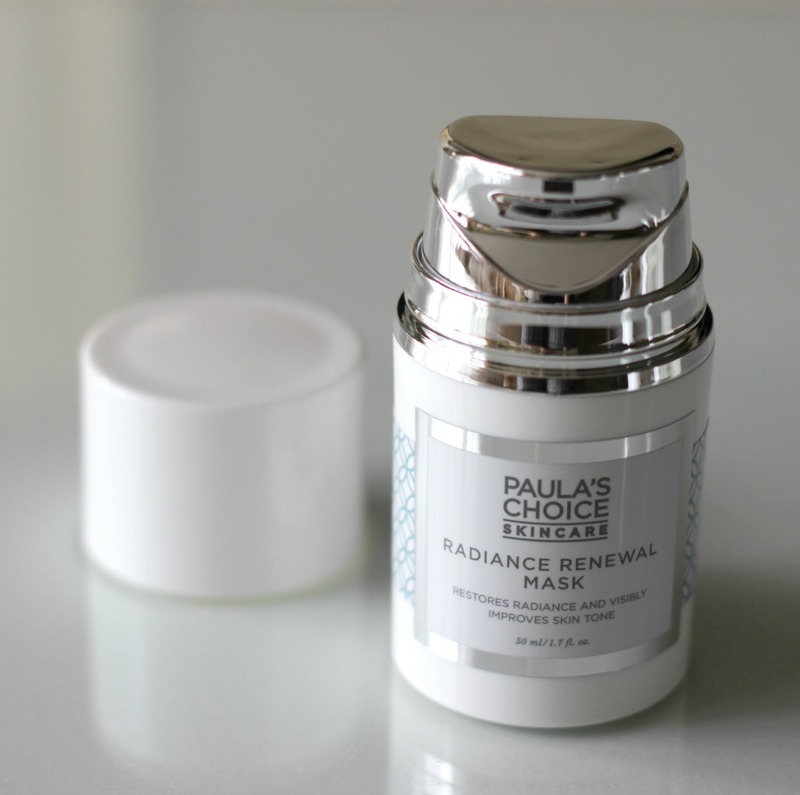 Like all Paula's Choice products, this product is fragrance free. 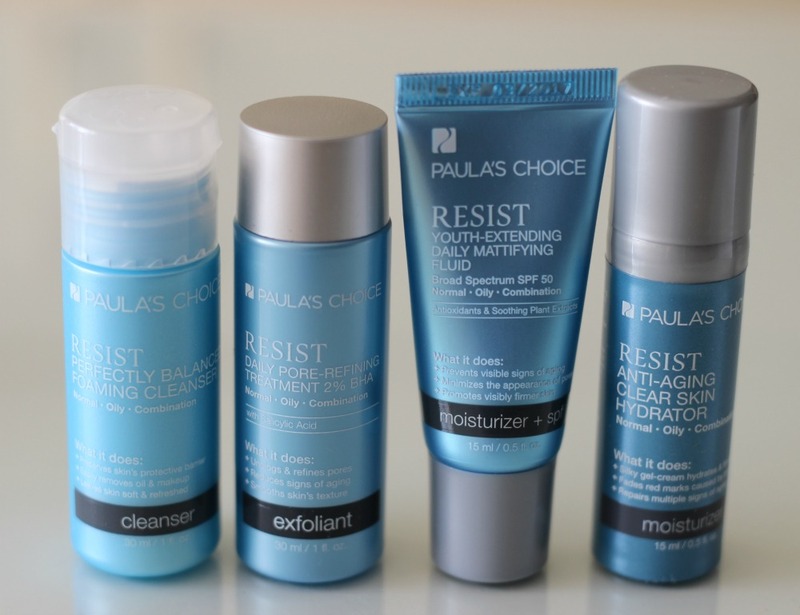 If you've been considering giving Paula's Choice a try, I would highly recommend! You can use this link to get $10 off your first US$15+ order. Are you a fan or Paula's Choice? What products have you tried or would like to try?